PassMaga | Dollar shortage worsens as Central Bank of Nigeria delays announcement of more flexible foreign exchange system, Aminu Gwadabe, president of Bureau de Change Operators of Nigeria told Bloomberg by phone. 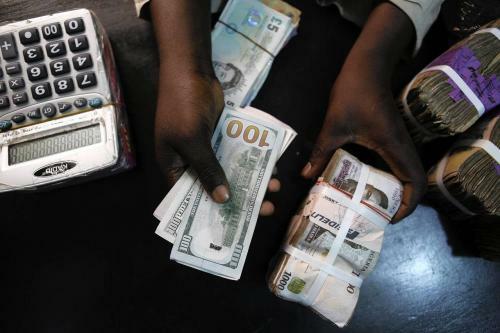 Dollar shortage worsens as Central Bank of Nigeria delays announcement of more flexible foreign exchange system, Aminu Gwadabe, president of Bureau de Change Operators of Nigeria told Bloomberg by phone. Naira pegged at 197-199 vs USD since March 2015 by the Central Bank of Nigeria.